I love to see a reporter take dead aim on a subject and keep hammering at it until whatever mystery surrounds it has been laid bare. That’s exactly what The Star’s Laura Bauer is doing on the case of Brandon Ellingson, the 20-year-old Iowa man who needlessly and shockingly drowned at the Lake of the Ozarks this spring while in the custody of a Missouri High Patrolman on watercraft duty. Last Sunday, Bauer produced a 2,900-word expose on the case, essentially showing that, after taking Ellingson into custody for boating while intoxicated, Officer Anthony Piercy put the wrong type of life vest on Ellingson and put it on in such a way that, minutes later, when Ellingson was in the water, the life vest popped off his shoulders and he drowned in 70-feet of water. That story was horrifying, saddening and maddening. It clearly showed that Piercy’s carelessness and failure to follow standard procedures led directly to the death of Ellingson, a bright-eyed, handsome young man who right now should be at Arizona State University working on his junior-year courses. Bauer described last week how the Highway Patrol had stonewalled her, dragging its feet on her requests for official records and imposing a gag order on everyone involved. Obviously, the Highway Patrol does not know better than to mess with Bauer, a fearless reporter who has done many groundbreaking stories in her 10 years at the paper. Last week, after the first story was published, Bauer broke through the brick wall the patrol erected and was able to get some of the official records. She parlayed the new material into a 3,100-word story that led today’s paper. Today’s story made me even madder than Part I partly because this time she also got an interview with Ellingson’s father, Craig Ellingson. I pointed out in a post last Sunday that, while that story was outstanding overall, it suffered from the absence of the voices of Ellingson’s parents. It deprived the readers of direct testimony about the agony that Ellingson’s closest relatives — the people who loved him most dearly — are enduring. But Bauer made amends this week. Here’s what she wrote, in part, about Craig Ellingson. “The last image Craig Ellingson has of his son is a photograph taken by a friend during his arrest on suspicion of boating while intoxicated. It shows him sitting in the back of Piercy’s patrol boat, his hands in his lap. Within minutes, Ellingson’s only son lay lifeless, his hands cuffed behind him, on the lake bed under 69 feet of water. “My pride and joy.” Of course. We understand. And, yes, Mr. Ellingson’s son made a big mistake — probably got drunk with his buddies at a lake-side bar and then got behind the wheel of the boat. But the last thing he deserved was to end up dead after Piercy handcuffed him, put an improper life vest on him improperly and then speed off at a speed that the Ellingsons’ attorney alleges was 40 miles per hour, in heavy wake. The Highway Patrol’s contention — at least before it invoked a gag order — was that at some point Ellingson stood up, moved toward the side of the boat and either fell or jumped into the water. It wouldn’t surprise me a bit if Brandon Ellingson was bounced out of the boat because Piercy was going too fast in very choppy water. If you’ve ever been on the Lake of the Ozarks, you know that it can be very, very dangerous when the wind and waves are up. Many years ago, I foolishly ventured out into the main channel on a windy day in a 14-foot fishing boat with a 5.5 horsepower motor. It was a teeth-jarring, white-knuckled return to the marina. Part II of Bauer’s report also focuses on the lack of waterways training that many land-based troopers got after the state Water Patrol merged into the Highway Patrol in 2011. Piercy works part time on the water and part time on the roads. It’s clear in retrospect that — regardless of how much money that merger is saving — it was a big mistake. What is the cost of a young man’s life? Piercy’s lack of experience and training on the water, combined with his carelessness, have forever cost Brandon Ellingson’s parents, relatives and friends the pleasure of his company and the joy of watching him advance in age and knowledge. Just a kid having a good time at the firing range, with her proud parents recording the event…Ooops! You have heard, of course, about the 9-year-old girl who lost control of a fully automatic Uzi while shooting at an Arizona shooting range and killed her 39-year-old instructor. I read The New York Times’ online story about it tonight and saw that it had already drawn more than 260 comments. The Times runs about 25 comments per segment before you have to hit “read more” to get the next 25 or so. I took the following comments just from the first page. It’s illegal for a child to buy cigarettes and alcohol but not illegal for a child to use an automatic weapon. Have we lost our sanity? The best people now to publicly advocate for weapon safety are the 9 year-old, her parents, and the family of the dead instructor. They need to get busy advocating and show the courage this situation needs. I’ll defend any person with the courage to admit a deadly error and a desire to persuade an audience with authority and humility. When they get in front of a camera and say that the deadliest weapons never belong in a child’s hands, the viewers will believe them and later admire them. If today was a typical day, almost 100 people died in automobile accidents in the United States. This unfortunate incident (the shooting death) is “news,” which means it is uncommon, perhaps unique. Every adult involved was there of their own volition. Even though the event reeks of irresponsibility and stupidity, it is difficult for me to get too outraged about it. There is simply too much stupidity around for me or anybody else to prevent. Obviously, small children should not be handling and firing high-powered weapons. There is no good purpose to it. When (people are) older, the ability to handle a weapon overall is not a bad thing, just as being able to change a flat tire or put oil in a car could be part of one’s basic skills. There are plenty of exotic “adventures” that parents introduce their children to these days, and it seems to have gotten way out of hand. We need to come down to earth. These things are made for one purpose only: slaughtering people. Why not take your child to play with lethal drugs or gas? All the insane, silly retorts of the gun nuts serve one purpose only: to keep them from having to think and accept responsibility for all the blood. Absolutely appalling, to say the least. Such parents shouldn’t be entrusted with rearing children. So learning to fire a gun is, well, just another game, is it? And we wonder why so many vulnerable youth, reared on a diet of violence in many guises (e.g., video games & all those ever present blockbuster, action-filled, brainless films – let alone lax gun access regulations) all too often turn to shooting. The loss of life by accident or violence is always a tragedy. While many would be inclined to put this into the “pro-gun vs. anti-gun” category, I would vote for a larger lens. Placing a gun in the hands of a young, untrained child is placing an unconscionable amount of responsibility, whether stated or implied. It is no different than letting a 9-year-old drive a car without an adult’s hand on the wheel. To argue, “Who is at fault?” is superfluous. In the end, the child is the victim of the carelessness of all the participating adults. Sadly it is she, and she alone, who will bear the lifelong emotional and mental scars. When they write the obit on American “culture,” this should be in the footnotes. I can say with some certainty that the gun nuts amongst us will insist that this was just a “tragic accident” and that “____ percent” of kids with Uzis cause no harm at all! They will tell us it’s safer than driving to the grocery store or going to the beach. What they are unwilling to say is that a military weapon is not a toy, nor should young children be exposed to them. The good news starts right here, right now! By popular, fist-waving demand, I have come up with a “good news” post. Yes, readers, lest we get trapped in the downward, depressing spiral of the bulk of local, national and international events, let’s celebrate some of the positive things that have bubbled to the surface. 10) Russian President Vlad Putin and Ukrainian President Petro (Pet) Poroshenko shook hands today and started talking peace. At least that’s what they were supposed to talk about. Pet looked pretty grim in the photo I saw, but I think I detected a curled-lip smile from Vlad. 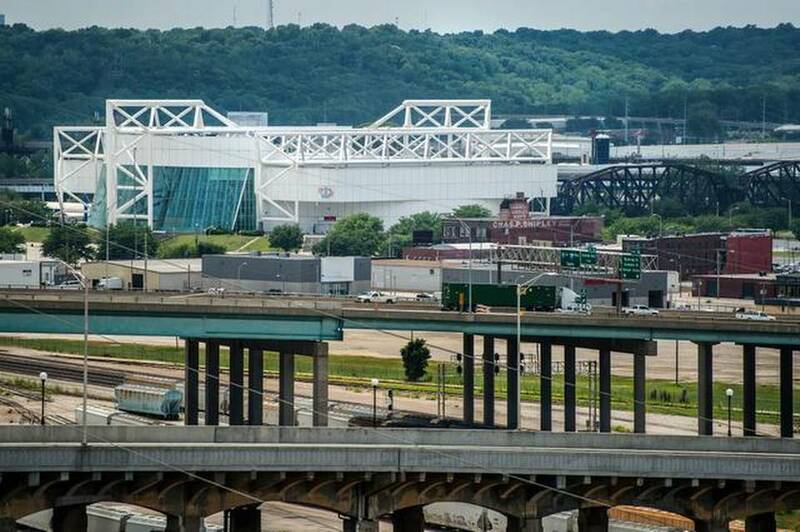 9) Something good is going to happen at the site of Kemper Arena. Either it’s going to be saved and repurposed as a regional hub for youth sports, or it’s going to be demolished to make way for a new multipurpose center for the American Royal. Frankly, I’m torn between the two plans, which the City Council will decide on. I have unpleasant memories of slogging through the muddy parking lots down there to go to Kansas City Kings and Kansas City Scouts games, but when I saw this photo in The Star today, it made me realize just how unique and appealing the old white elephant is. 6) With all the hoopla over the name of the Washington “You-Know-Who” NFL team, a Kansas City Star letter writer came up with an idea for the Chiefs: Change the name to “the Kansas City Brave,” suggested Bill Fithian of Prairie Village, to solve the problem we have with singing the National Anthem at Arrowhead. 5) Pediatricians have suggested delaying the start of the school day to 8:30 a.m. for high school students so they can get more sleep and, hopefully, be better students. I love this idea! As a substitute teacher in the Shawnee Mission District, I hate the 7:40 a.m. high-school starting time. I have a big problem just getting out of bed by then. 4) Another great golf instructor, Sean Foley, has found personal freedom by splitting with Tiger Woods. Foley joins stellar swing coaches Butch Harmon and Hank Haney in being happier for having parted ways with The Great Back Painer. 2) College football season is about to begin, and for me that means one thing: I’ll soon be going over to Lawrence to see the best damn marching band in the world. Every once in a while, a decent football game breaks out, too. 1) Somewhere today…somewhere, a police officer holstered his gun and decided not to shoot an unarmed troublemaker. On Sunday, The Kansas City Star highlighted another shockingly bad piece of police work, which, like the tragedy in Ferguson, resulted in the death of an unarmed man. 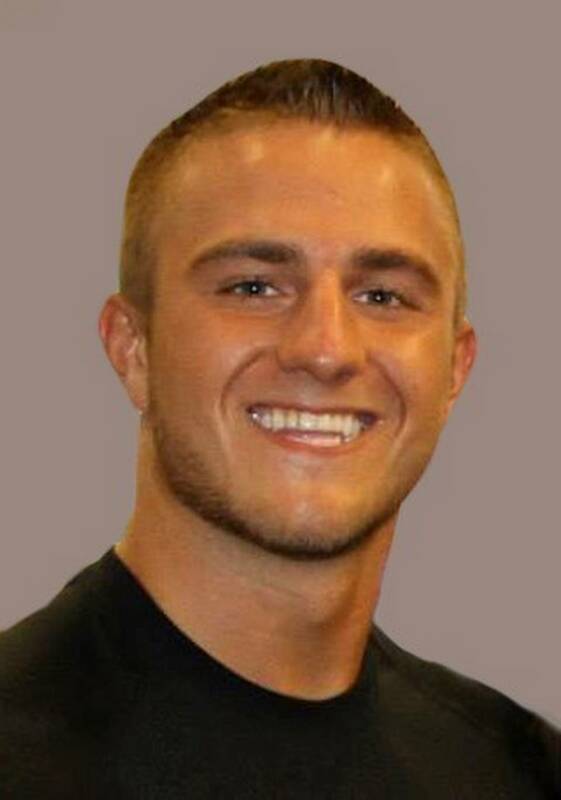 This tragic misstep, which occurred May 31 at the Lake of the Ozarks, took the life of 20-year-old Brandon Ellingson, an Iowa resident who was an honors student at Arizona State University. After a “boating-while-intoxicated” stop, Ellingson somehow ended up in the water — we may never know exactly how — and drowned in 80 feet of water because 43-year-old State Trooper Anthony Piercy not only put the wrong type of life preserver on him but put it on incorrectly. Reporter Laura Bauer compellingly chronicled the fateful encounter between Piercy and Ellingson, who was with several buddies that day in his father’s boat. Adding greatly to the compelling nature of Bauer’s story was the inclusion of a photo of Ellingson, which one of his buddies took minutes before he drowned. In the photo, he is sitting straight up, quietly, looking forward, while Piercy stood several feet away, next to a computer. Ellingson and seven high school friends had gone to the lake for the weekend. Saturday, May 31, was their last full day at the lake. 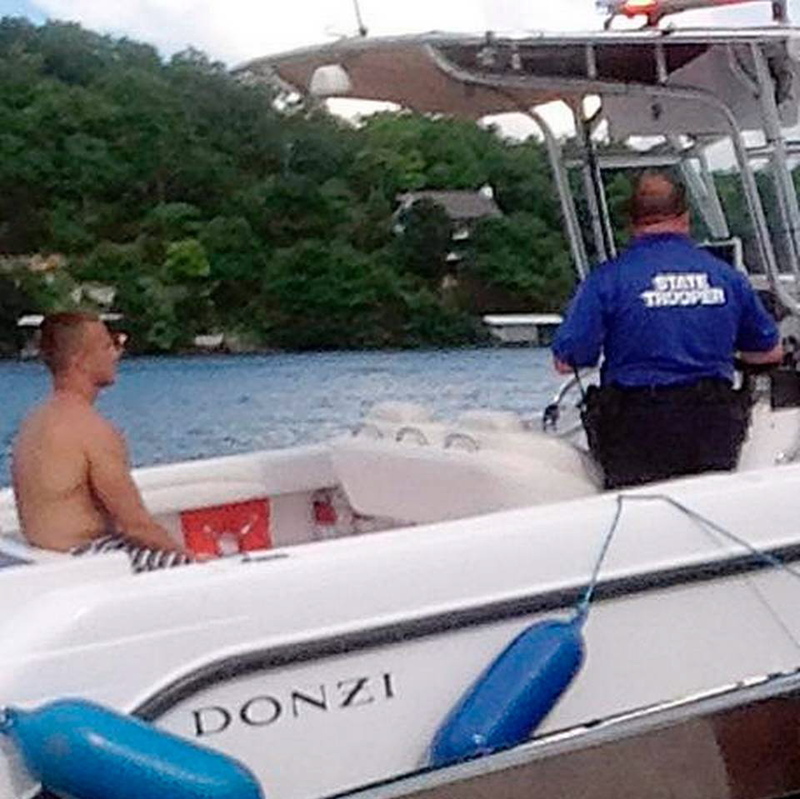 Piercy, who had less than two years’ experience on water patrol, had spent part of the day waylaying boat operators leaving Coconuts Caribbean Beach Bar and Grill on the lake’s Gravois Arm. He had already nailed at least two other boaters before pulling Ellingson and his group over about 5:30 p.m. Earlier in the day, the bar owner had asked Piercy why he was “harassing” his customers, and Piercy said he was responding to complaints. Ellingson told Piercy he wasn’t 21 and that he had had a couple of drinks. Piercy took the young man onto his patrol boat. After administering a sobriety test, Piercy cuffed Ellingson’s hands behind his back and, after a few minutes, pulled a Type III, ski-jacket-style life vest over Ellingson’s head. Already buckled, it was slipped over his shoulders, with only his head sticking out. The vest is not designed to be used that way at all. It is to be put on like a sleeveless jacket, with one’s arms going through the holes on either side, and then being buckled. A few minutes later, Piercy roared off with Ellingson in tow and leaving a big wake. Bauer didn’t say so specifically, but I have read elsewhere that Ellingson was sitting on a bench in the boat when Piercy took off. Bauer also didn’t say how far the patrol boat traveled before Ellingson ended up going overboard. However, comparing The Star’s front-page lake map with one I called up on Google Maps, it appears to have been about four miles, maybe a little less. No witnesses apparently saw Ellingson go overboard, but some did arrive in time to see Trooper Piercy jump into the water — apparently after Ellingson had been in the water several minutes — and try unsuccessfully to save him. The most maddening aspect of this case — even more maddening than the Ferguson, MO, case in which unarmed Michael Brown was shot and killed by a young police officer — is that the Highway Patrol has invoked a gag order. The Highway Patrol initially said that Ellingson stood, stepped to the right side of the boat and fell or jumped overboard. The patrol first told reporters that Ellingson was seated to the left of the trooper and moved toward the right side of the boat. Later, the patrol changed that account and said Ellingson was to the right of Piercy before going overboard. The witnesses said that when they saw Ellingson in the water, the life vest was near his head and that it floated away before he went under. The Highway Patrol has refused to release records related to the incident, and Bauer’s attempts to contact Piercy were unsuccessful. A “coroner’s inquest” is scheduled for Sept. 4. Bauer said that “in a trial-like setting, six jurors will be asked to determine the manner in which Ellingson dies” — that is, if negligence was involved or a crime might have been committed. First of all, I think the “coroner’s inquest” — whatever form that takes — will be a whitewash. It’s going to be a handful of Ozarkians handing down a judgment after being spoon-fed whatever “facts” the Highway Patrol chooses to divulge. Second, I wouldn’t trust Piercy’s version as far as I could submerge it, especially since he mangled the life-jacket application and also in light of that photo of Ellingson. I don’t believe for a second that Ellingson jumped into the water with that boat flying along at maybe 30 miles an hour or so. Sure, he could have been completely blasted and gotten up on his feet and been tossed off the boat as it raced along. But as far as that goes, he shouldn’t even have had the chance to get up: Piercy should have put him on the floor of the boat and he should have had him somewhere where Ellingson was secure and Piercy could see him at all times. Nope, just like Officer Darren Wilson in Ferguson, Piercy fucked up in a big way, and a promising young man — who should be starting his junior year in college this week — is gone forever. All that’s left is his photo…Take a look at him. And let your heart sink, with mine. Hey, pal, man up and eat your spinach! The gauntlet thrown, Og relents and “borrows” the money from his employer — which leads to all manner of consternation and difficulty until all turns out well in the end. That scene came to mind this week after I heard that St. Louis County prosecutor Robert McCulloch had challenged Missouri Gov. 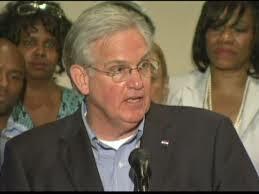 Jay Nixon to “man up” and make a decision about whether to ask McCulloch to recuse himself in the Michael Brown case. Some have suggested that because of personal and family considerations, McCulloch might favor law enforcement’s side. 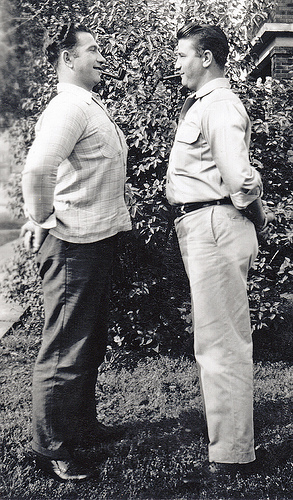 Nixon drew McCulloch’s wrath because Nixon, while not requiring that McCulloch step aside (which the governor has the power to do), said he would not object if McCulloch chose to do so. But McCulloch didn’t stop there; he proceeded to say that Nixon’s comments about recusal were “typical Nixon doublespeak” and “a distraction,” which hampered the process from moving forward. To me, not only is McCulloch an idiot for openly challenging the governor, but he’s an idiot because he resorted to the lame, hackneyed “man-up” phrase. The main problem with the phrase — other than the fact that it just sounds ridiculous — is that it can only be directed at a man. It is strictly a challenge to masculinity — “Do you have the balls to….? — rather than a call to dial up one’s courage, regardless of gender. I found at least two high-profile instances when women leveled the term against men. More recently, Senate Intelligence Committee Chairwoman Dianne Feinstein called on Russian President Vladimir Putin to “man up” and acknowledge his government’s complicity in the downing of Malaysia Airlines Flight 17…Needless to say, Vlad has not. In researching the hated phrase, I stumbled upon a blog called “The Art of Masculinity,” which addressed the phrase at length in 2013. McKay rightly concluded that the term “man up” has become such a cliche that it is meaningless. Twenty-eight-year-old Ferguson police officer Darren Wilson probably realizes by now that the charges against him will go far beyond manslaughter (probably) and or violating Michael Brown’s civil rights. 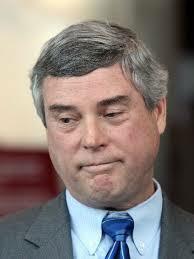 In the court of public opinion, particularly the opinion of people who are members of racial minorities, Wilson has become the poster boy for police abuse of unarmed poor people past and present. ** U.S. Attorney General Eric Holder being stopped by Washington D.C. police while running to a movie theater in the affluent D.C. suburb of Georgetown when Holder was a young federal prosecutor. ** A 2009 Ferguson case in which a man said that four police officers beat him and then charged him with damaging government property — by getting blood on their uniforms. 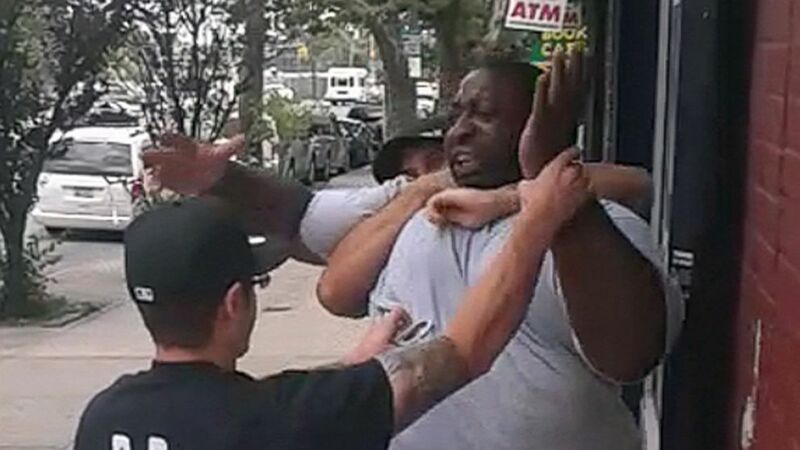 ** The death in New York last month of 43-year-old Eric Garner, who died after a police officer put him in a long-prohibited “chokehold.” Garner had been stopped on suspicion of selling untaxed cigarettes on the street. A Staten Island grand jury will consider the Garner case. ** A Kansas City police officer’s recent Facebook posting of a photograph of a young man, purportedly Michael Brown, with a wad of money in his mouth and a gun in his hand. 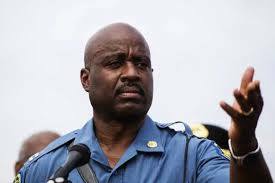 “I’m sure young Michael Brown is innocent and just misunderstood. I’m sure he is a pillar of the Ferguson community,” Officer Marc Catron sarcastically commented in the post with the photograph. Turns out, however, the photo was not that of Brown but of a murder suspect in Oregon. 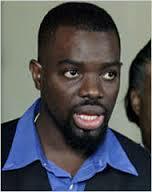 ** The broken-broomstick sodomizing in 1997 of Haitian immigrant Abner Louima, who suffered massive internal injuries at the hands of one or more New York City police officers after he was arrested for being involved in a nightclub scuffle in which Officer Justin A. Volpe got punched. Volpe took the lead in the nightmarish sodomizing, and it turned out Louima wasn’t even the guy who punched him. Volpe is serving a 30-year prison term, and another officer served five years for perjury, but three others got off without convictions. Yes, Darren Wilson, through fault of his own, now finds himself carrying the cross of police abuse across the nation. This is one of those moments where an accumulation of individual moments, over a long period, culminates in a seminal moment. Regardless of whether Michael Brown “bullrushed” Officer Wilson, when Wilson has his day in court he will come carrying a load that goes far beyond whatever happened at (and after) 12:01 p.m. on Aug. 9 in Ferguson, MO. This promises to be a turning point in law enforcement practices and attitudes, and we can only hope that the seismic shift is felt from the largest urban areas to the most podunk of American towns. “Community policing” should never be the same. In many ways, Ferguson has become a story of personalities and leadership — a story of which law enforcement officer or which politician can do the most to help restore calm and ensure the safety of area residents and businesses. Well that feel-good story has started to fade badly, hasn’t it? Overnight Saturday, of course, authorities had to resort to tear gas and other harsh measures to try to keep the lid on during the midnight to 5 a.m. curfew. Same thing last night. And by then even Capt. Johnson had found it necessary to change go from hand holding to hand slapping — figuratively, anyway. I’m glad he displayed flexibility and openness to alternative approaches to peace-making; he is, after all, a law enforcement officer. After being MIA the first few days, our governor summoned up his courage and his voice, and he’s doing what needs to be done. After Johnson and the Highway Patrol couldn’t produce the desired result, Nixon imposed a midnight to 5 a.m. the curfew. Very smart; you can’t have looters and opportunistic hell raisers ruling the night and ruining businesses. Nixon went on four national TV shows Sunday, and from what I’ve heard and read, he acquitted himself well. Then, early today, Nixon took the significant step of calling in the National Guard. When you’ve got serious, widespread trouble, it’s the National Guard that you really want on the scene. Well stated, governor, well stated. I could hardly believe — but then I realized it was totally predictable — that Koster had elbowed his way into the limelight. Seeing that Nixon had awakened from his long nap, Koster ran over to Ferguson and convinced the pastor at the Greater St. Mark Family Church in Ferguson to let him sermonize yesterday. What a phony! What a panderer! He got what he wanted, though — prominent play in a front-page New York Times story. Maybe more. Koster, you’ll recall, was the Republican Cass County prosecutor who, several years ago, switched from being a Republican to a Democrat. He pines for higher office — the governor’s office, specifically — and will do whatever is expedient to promote his own cause. Recently, for example, he gave full-throated support to Missouri Amendment 1 — the ridiculous “right-to-farm” proposition that will change nothing for small farmers and will pave the way for the factory farms operators, like Tyson and Monsanto, to operate however they like with impunity. The amendment passed by a margin of 2,500 votes out of a million case. 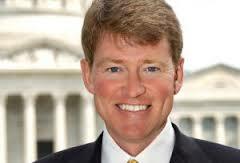 I hope Missouri voters send Koster back to Cass County, where he can take up work on a family farm. I intend to work against the guy, whatever he runs for.